Making choices about how to spend your gap year is difficult. You have just this one year off, and you want to maximize it, right? There are many choices to make: work, intern, travel, volunteer? Stay in North America or travel abroad? 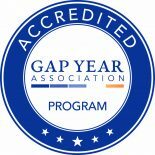 A great place to start your search is at the USA Gap Year Fairs, which take place between January and March every year in cities across the United States. These fairs are set up in a similar way to college fairs, with keynote speakers and various gap year companies set up at booths, with materials to hand out. You can look around the exhibition hall and approach the booths that interest you. Youth International will have a representative at most of the fairs during the January-March 2019 fair circuit. We hope to meet you there and answer all your questions. If all the choices still feel overwhelming to you, you should know that there are counselors (Interim, EnRoute, Taylor the Gap) who specialize in gap year advising. For a flat fee, they can help you sort through the options, hone your interests, and craft the perfect gap year for you. Good luck!